Most of our audience will know you and your work from the BBC TV programme Doctor in the House but what viewers will have seen represents only part of what you do. Could you give our readers an overview of what you do, how you do it and how this is different from conventional therapeutic approaches? The Doctor in the House thing is not too dissimilar from what I do globally. To go back to a real starting point, my interest in anatomy came from wanting to understand, appreciate and ultimately describe what every structure in the body is doing in all three dimensions. We talk about the sagittal plane, frontal plane, transverse (or rotation plane) throughout the walking cycle. I just wanted to understand how we walk, what the spine does, how the pelvis moves, the directions that your femurs move, way down to the feet. Having spent six or seven years fitting ski boots and looking at foot bones, you recognise there’s a dimensionality to it. Looking back to the early 2000s, everything was about three planes of movement. Gary Gray was getting people upright and off the couch and this led to a deep interest into what each of these structures was doing. Once you do that it starts to paint a picture of whole body movements and it also starts to paint a picture of the postures that people hold. You start to see people holding themselves full time in a posture that corresponds with one of the moments of time that we might access in our gait cycle. The question is, can you access the same posture when you’ve got the other leg forward. That’s important for not leaving the system under some kind of tension and excess compression. I ended up with a bunch of big body positions that we would give to people and people would start to ping themselves into a more balanced position, pain would disappear and performance would enhance. Obviously, at the time, it was like ‘wow, this is cool, I have no idea what’s actually happening’. So from that point forward, it became a quest to understand it, explain it, and to use it in both training and clinical environments, as well as pain orientated environments. It’s been joyful and successful wherever it’s been applied. 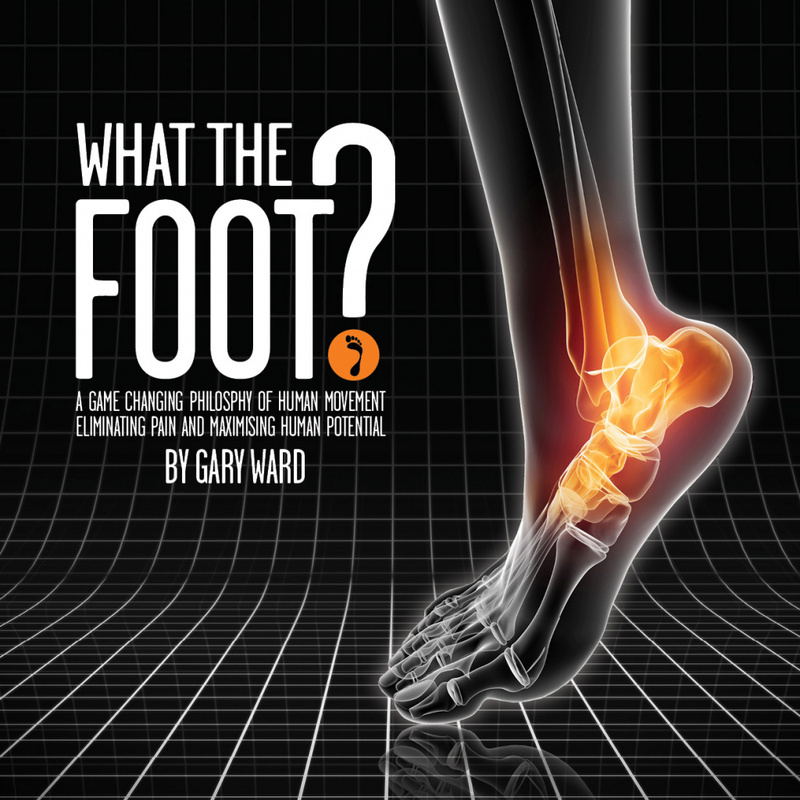 Your book What the Foot is really a fantastic read and should be a must for anyone working in exercise, fitness and physical therapy. It turns many conventional anatomical perspectives on their head, some may even say radically so. In the book, you describe how there is an industry that is hellbent on stopping or restricting pronation of the foot when in fact this is a normal and actually an essential action. Could you tell us a little more about this? Isn’t it funny how the ideas I have are perceived as radical? What I’m guilty of doing is describing what the body does and defining when it does it. If you start to enjoy the process of a human walking, you recognise there is a moment that foot is designed to pronate and must pronate. Therefore, if it’s got a ‘must’ in front of it, it’s something we should recognise as necessary. People who are stuck in overpronation will know there’s a relationship between the foot, the knees, hips etc. It’s very easy to say that your back pain, for example, is connected to overpronated feet. If we do a little test and push your arches up, if that solves the back pain then we’ve made a change in your system, but what kind of change? Is it a short term change or a long term change? The long term plan is to educate your own body to be able to not only pronate and supinate but to do it appropriately. What I mean by that is there is a time to pronate in the gait cycle. We can’t spend our whole footstep pronating, we need to experience its opposite which is supination. There’s also a relationship there. When do you pronate the foot, do the 33 joints in the foot do what they’re supposed to do? Does the knee do what it’s supposed to do? Does the pelvis? The hip? I actually think there’s whole body pronation. The book’s called What the Foot? but it’s actually about a whole body approach. Regardless of a person’s issue, whether that’s protracted shoulders or something else, they’ll all have a moment in the gait cycle where we need every single of these moments. You talk quite a lot in your book about how nothing in the body is actually still and that motion is always present. In fact, you actually illustrate how this is also so in the world. You also describe how the fitness industry and therapy world are placing too much emphasis on promoting stiffness and stability in and around neutral. Could you tell us a little more about this? The masses are the easy ones to convince, it’s the trained therapists and trainers who have the problem accepting the idea of motion always being present. There are many ironies about stability and I think the deepest one, the longer I’ve been going along working with this, is that we end up teaching people to be stable in an off-balanced position. So we do a lot with foot pressures, you stand up and you put your weight on your feet. We split that into four quadrants, both forefeet and both rear feet and if you are 25% in all four quadrants then you have a fairly good chance of being centred and balanced. Columns are the strongest and most stable of structures so everything needs to be stacked on top of each other. Everything needs to be aligned but unfortunately, you can’t take a footstep in neutral. You have to break neutral so we better damn teach you to break it well and get back to neutral if you’re going to survive that footstep. It’s a big thing to say ‘survive a footstep’ but not many people are. People are great in certain aspects of their gait cycle but fail completely in others and that’s where you’ll see muscles yanked and joints getting compressed. I think you can put all the discomfort down to tension and compression in the system. That’s your guide then as a therapist or a trainer if you’re looking to minimise someone’s discomfort. Even if the client can’t give you the words, their body will present all of the things you need to know about its limitations. We then no longer label it is ‘good’ or ‘bad’, it just is how it is. In your book, you also talk about the idea of ‘perfection’ and the way our bodies are able to react to dysfunction and discomfort and still perform. Can perfection within the human body ever exactly exist? Absolutely. When I was learning languages at A-level, tenses and stuff, I remember the teacher explaining the perfect tense. The perfect tense is when we speak about something in the past and he said that perfect derives from the Latin ‘perfectus’, which means ‘finished’, ‘done’, or ‘complete’. When we think about the word perfection, as in you’re looking to be complete, you can recognise that there are no parts of you missing and you’re already operating in this 100% way. You’ve got discomfort and pain on one hand but you’re also perfect in every way, it’s quite a hard thing to wrap your head around. It’s hard but you have to go through a process of going through discomfort and pain again and again and you start to realise that someone’s discomfort is a structural problem. If you start to look away from the actual area of discomfort then you start to find structural abnormalities elsewhere. With the model we have, there are 12 moments where you can look at the structure of the spine and correlate it directly to your right shoulder for example. What should your right shoulder be doing in that moment and all of a sudden if your shoulder is extending and your spine is extending at the same time then you have a relationship between spine extension and shoulder extension. It may sound complex but there’s a binary checklist there. If it hurts when you extend your shoulder and extend your spine you can immediately go to a moment in time where you’ve got your right foot forward and your left foot back. One foot should be pronating, one foot should be supinating. Look at that you can’t extend your left knee and it’s got a history related to it. I worked with an elbow last week that was older than me. The client had broken her elbow before I was even born. I was able to hold this elbow and just use touch basically on the elbow, not even movement, just touch to improve the range of motion. Same with the guy on Doctor in the House, his back pain was all jaw related, an incident when he was 15 years old. There’s a lot to this but just going back to the original question, the idea of perfection. You feel bad about what’s going on in your body until you realise that it’s got you this far and it’s done its utmost to serve you. Therapists and trainers often talk about muscles being short and tight or long and weak. In that paradigm, the convention is to shorten what is lengthened and lengthen what is shortened. In your book, you present a third scenario whereby muscles can be long and tight…could you tell us a little more about this and maybe provide some examples. We have a rule in What the Foot?, it’s the first big rule of motion and it’s that muscles lengthen before they contract and it’s the idea that in upright human locomotion and you’ll see it in animals and you’ll see it in the gym when people struggle to do a sit up. They’ll always lengthen something first which will generate a contraction to facilitate their access to that movement. In normal flowing movement, we never shorten a muscle from a midrange. If we do, you can always correlate it to some kind of issue, you’ll find it. So what we do is always lengthen a muscle to its end range and then contract it to back towards a midrange. That’s generally how muscles are working. So we go to a postural space and let’s just talk about a hypothetical scenario. Take a client’s QL (quadratus lumborum). If that person is standing there and they have pelvic hike on the left-hand side or a lateral tilt dropping on the right-hand side then you’re going to see a bigger space between lower ribs and pelvis so that the muscle can be described as being in a long position and the other side in a short position. Generally, the short one where they’ve hiked up on one side, put their weight on top of it, what you’ll notice is that muscle is not contracting to hold that person in that place. It’s likely soft and not going to have that harden tissue that we’re looking for. You’ll often notice that it’s on the other side, the muscle in the lengthened space is actually contracted and contracting to prevent you from putting more space into that structure. So long muscles will always span the opening of a joint. If the spine’s beginning to flex to the left because of a hike in the pelvis that QL is going to work hard to contract that back to a neutral position. Because the whole body isn’t able to cooperate, you’ll find yourself with a muscle that’s overworking and over-hardened. I do actually find it very difficult to talk about muscles really. We love muscles and a lot of people who come to our courses are obsessed with muscles and rightly so but I know, I can say that I know that all muscles respond to joint motion, that’s the second big rule in the book: joints act and muscles react. That’s not to take the idea that we can’t contract a muscle and then see a joint respond, of course, but in a joint movement, we also need to be aware that by targeting joint motion, we can stimulate the muscle to do the very thing it’s supposed to do. Muscles are really complex, we can think of them as managers, they manage the system. Finally, you’ve clearly done some fantastic work, let’s hear about future plans and projects if you could. How far do you think you take the ideas present in What the Foot? There are two projects going on at the moment, one that I’ve been working on for three years and it’s the actual Flow Motion Model book. I get a lot of people who seem to read What the Foot? and seem a bit reticent that I’m not necessarily giving answers or prescribing specific exercises. But this Flow Motion Model book was supposed to be the thing that filled that hole for people, it’s just taken a lot longer than I thought. We’re also doing the artwork with a guy called Rob Sawyer in Australia. He’s diligently spent two years putting together the artwork, viewing anatomical structures from all angles. It’s been a huge project that we’re really excited about. A lot of people have been messaging asking when it’s coming out, I’ve always said ‘soon’ and that didn’t end up being the case. It’s been on the backburner because it’s something I’m really passionate about and excited for everyone to use it as a resource. That’s probably a year away still. We also have a Wake Your Body Up programme which is an opportunity for people to look at their foot pressures and self-assess through movement things that are missing in their systems. And the new thing is we’ll shortly be releasing Wake Your Feet Up – this will be a self-assessment of your feet and you’ll need wedges and the principles behind them are the same I used when fitting orthotics. I really want that to be something that takes the idea that pronation is wrong away from people and show the value and necessity of that movement. It’s the one movement in the human body where all the soft tissue is designed to supinate the foot and if muscles lengthen before they contract we have to get good at pronating. 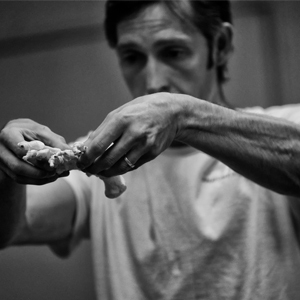 There are ways to get good at pronating our feet that no one is really promoting anywhere. So I’m very excited about that.